I have used these before. Love these cards and have had comments from the people I have sent them to that they like them. The price is right!!! 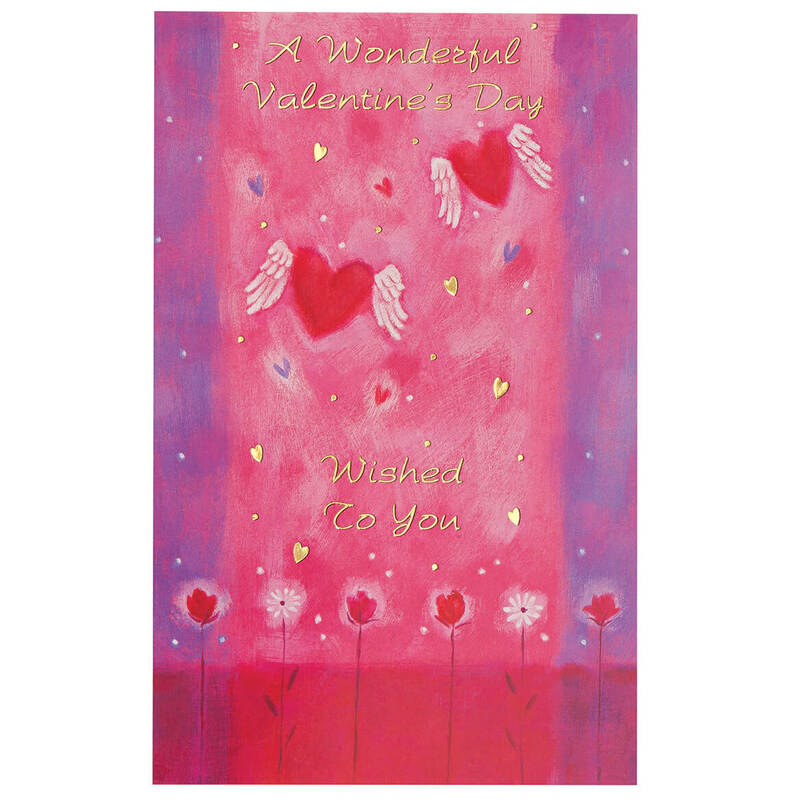 I gave them to the seniors at CSSAC in TEMPLE HILLS MARYLAND for VALENTINE'S DAY and they were very pleased I something for them every holiday just a little token if appreciation. Great Products for great prices! 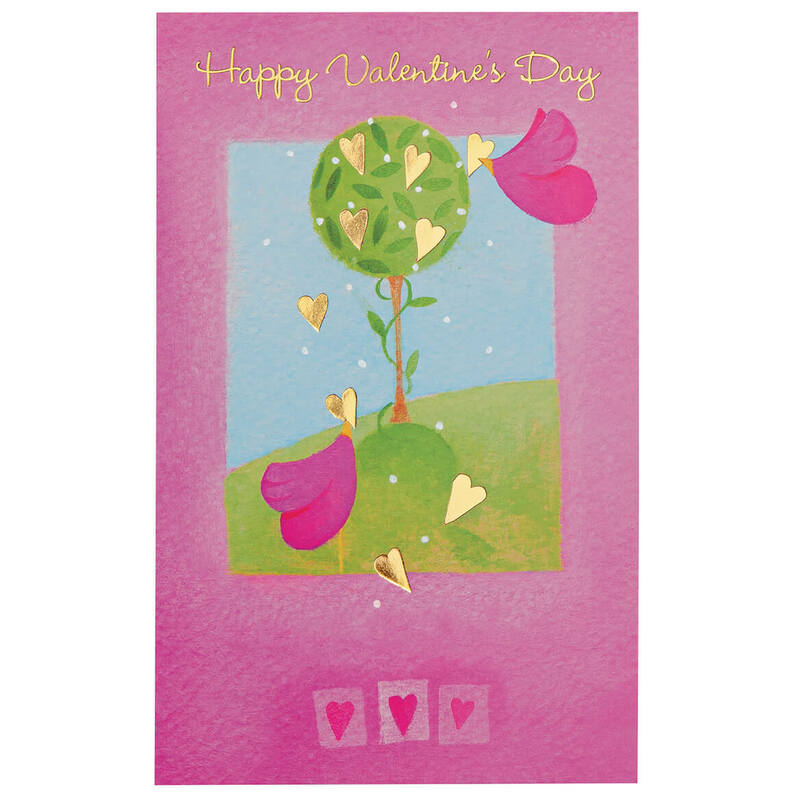 I love the Valentine and St. Patrick cards I received. 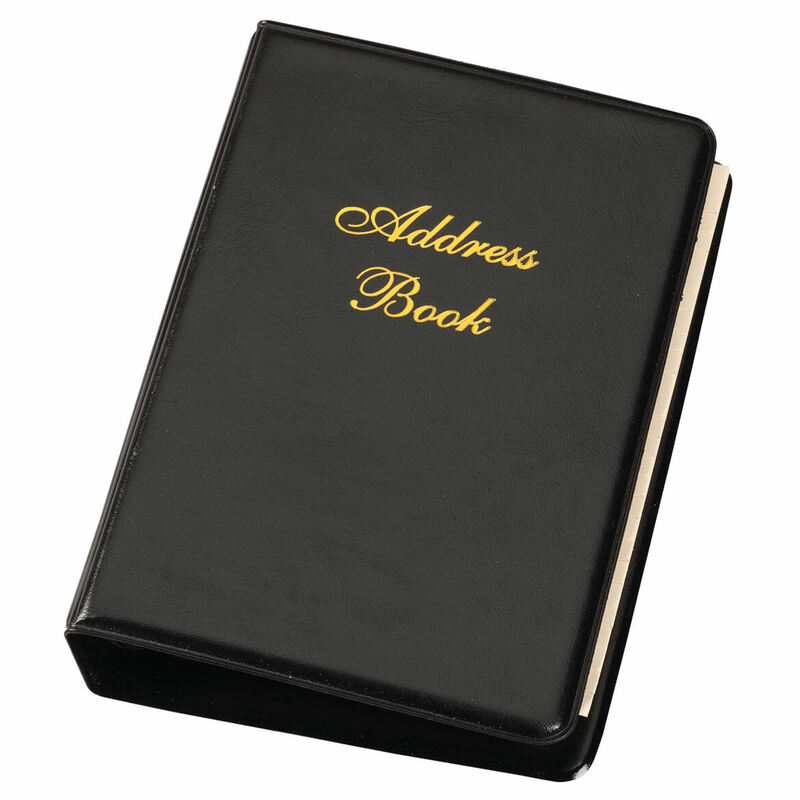 They are the right size to mail out and they are cheaper than the one I buy at the store. I would buy these again, great value! Love my Valentine cards! Great assortment for such a great price!! These cards are great for my son - easy for him to read. I wish they came in more Holidays, like Easter, Christmas, Halloween, Thanksgiving etc. Hope I can talk him out of a few because they would be nice for me to send also. These were great the price was good also i sent them all to my friends and relatives. liked the size they were too. These cards are only meant for people that are 1) married 2) in a relationship 3) have a significant other. Out of 24 cards in the packet, 3 are "for anyone" cards. This doesn't work for me since I had planned to use them for sailors on board the USS Carl Vinson (CVN 70). Bummer! Lesson learned. I won't ever order cards on line again. 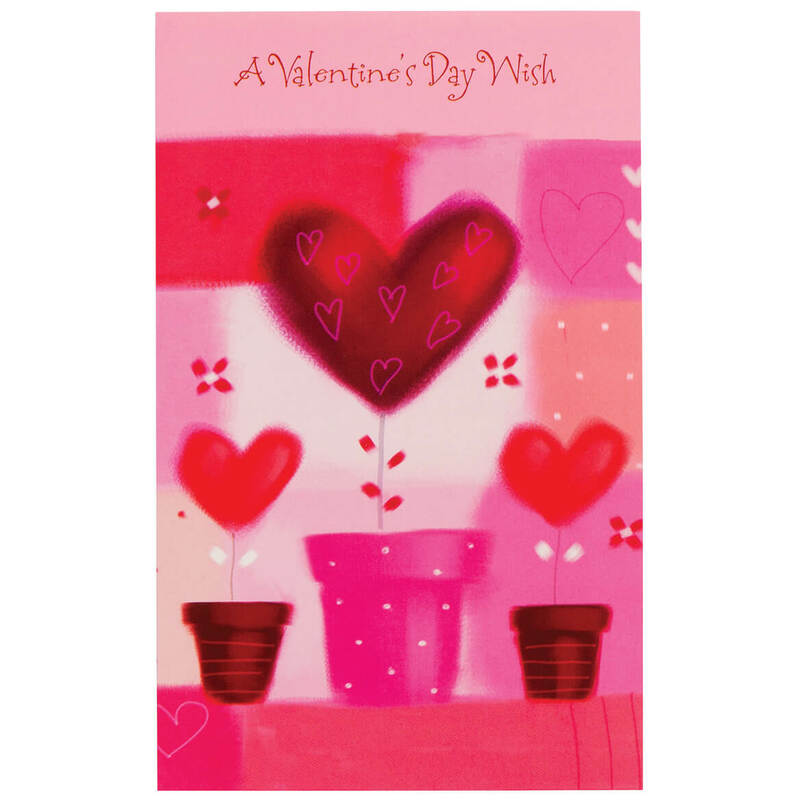 I would not buy this Valentine Card Asst. again. 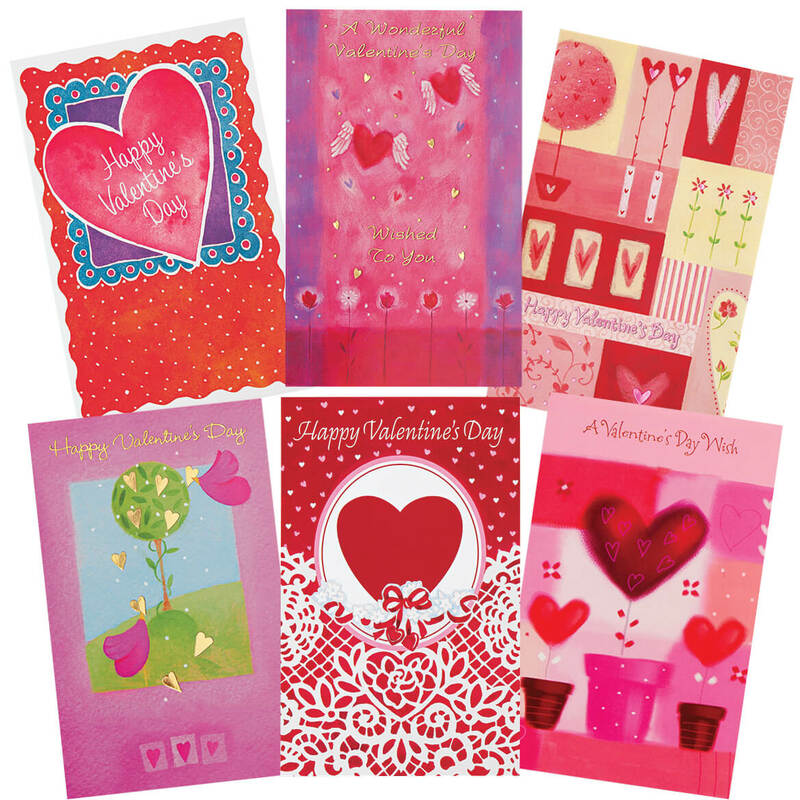 Was very disappointed w/this Valentine's Day Card Assortment. I had ordered it,along w/the St. Patrick's Day Card Asst. & was notified that the St. Patrick's Day Card Asst. was on back order-well, actually received the St. Patrick's Day Card Asst. fairly quickly, & was pretty happy w/those, but when I finally did receive the Valentine's Day Card Asst.,was really disappointed w/them! I'm sure that I will try & use them, but would not reorder them again. Also wondered "why" the shipping info. that I had received was incorrect also? The cost-benefit ratio with these cards is good! for the amount of cards, I thought the price was reasonable. That's only 21 cents a card. 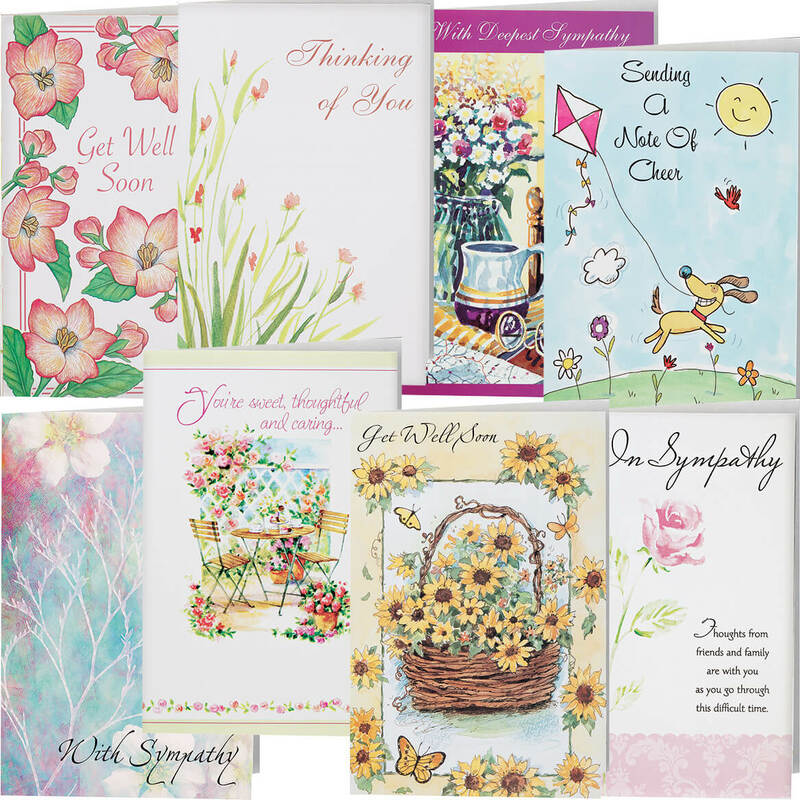 My dear Grandmother used to send me & my siblings greeting cards and it meant a lot to us. I have continued this tradition with greeting cards. 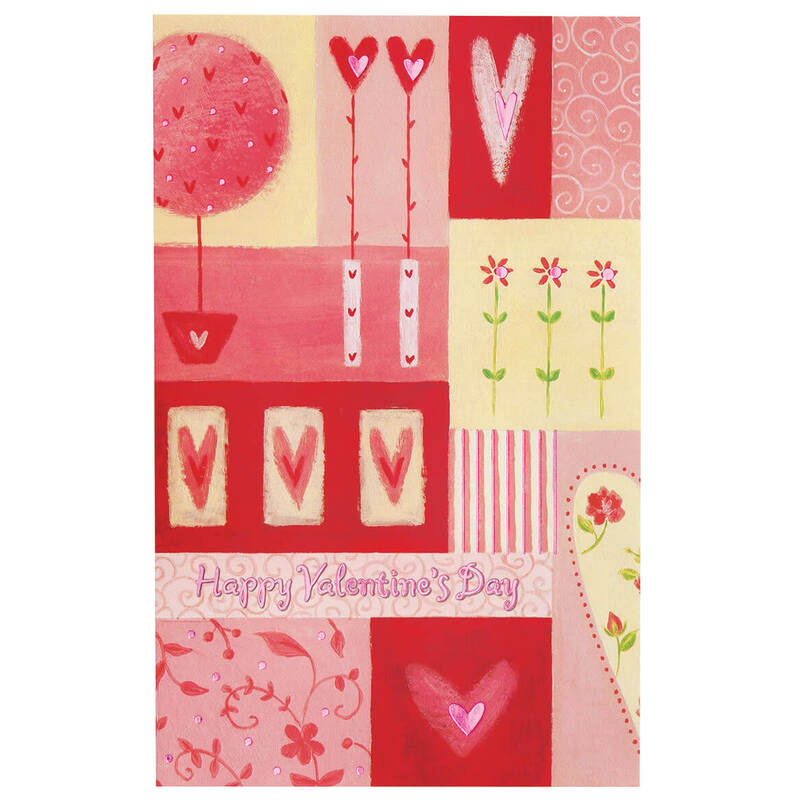 Currently I sent Valentine cards to my great nieces & nephews. 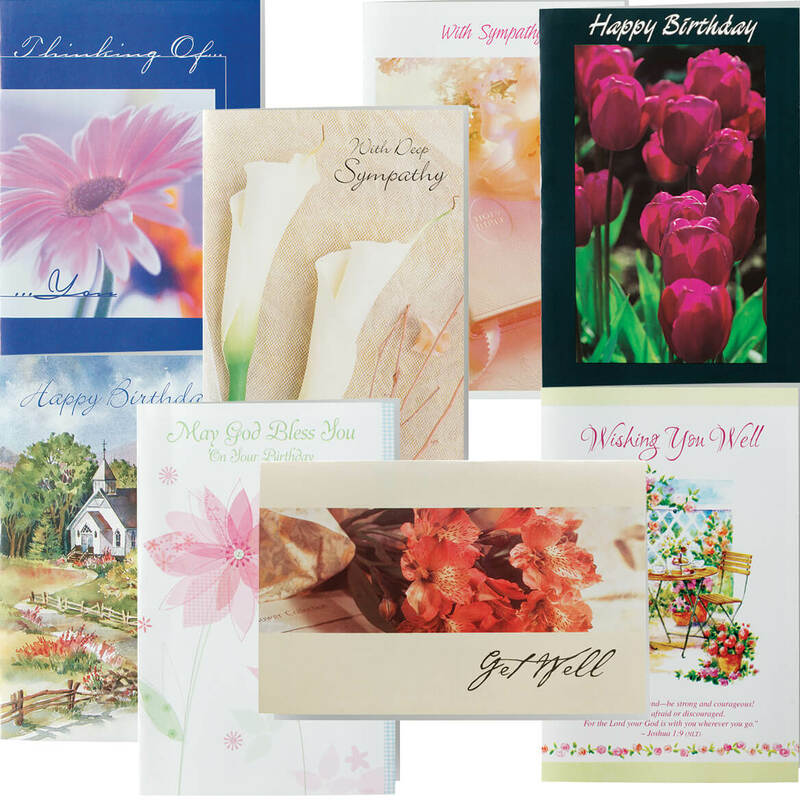 I have 6 grand children, with these I don't have to send the same card to each household, they get a different card than their siblings. Plus they're cute! I ran out of Valentine cards. A good company to order from. I chose the Valentine's Day cards out of love and encouragement for the person. It saves me trouble of going to the store. And, it seems to be a good buy. Good price, cards are cute and I need them. I want to use these for family and coworkers. Can anyone share what they say inside? 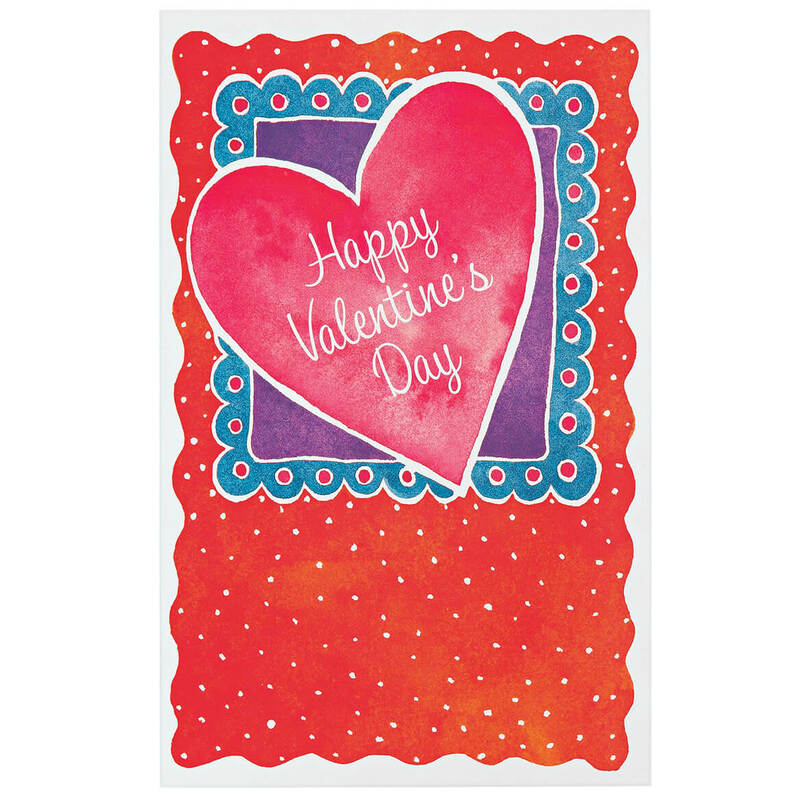 BEST ANSWER: Have a wonderful Valentine"s Day thiss year, filled with candy and flowers and those you hold dear. Wishing you tons of hugs, And a kiss or two or three. Valentine, you're totally terrific. Hope your day's as fun as can be. Valentine's Day is extra special and so are you. Hope your day is filled with fun and good times, too! 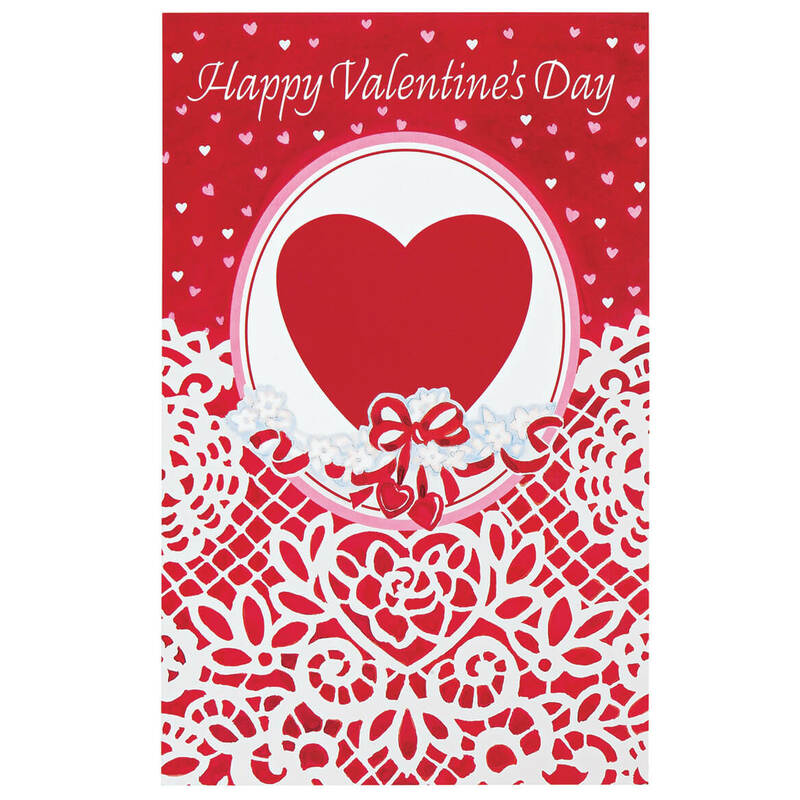 May friendship, love and happiness be gifts for your heart on Valentine's Day and always. Hope your Valentine's Day Is as awesome as you are! Have a fun one! Happy Valentine's Day with All My Love - Even though Valentine's Day comes but once a year, The love I have for you is never out of season! These are the ones I still have but I may have used others last year. They're all different, but totally appropriate. 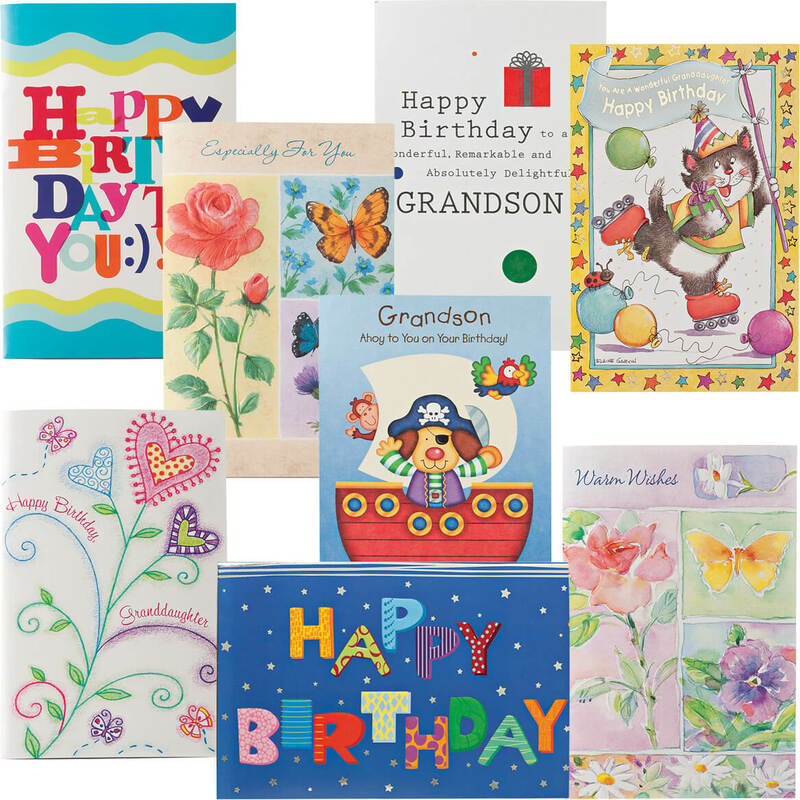 Assortment of Christian birthday cards come in a set of 24 with 8 unique designs. 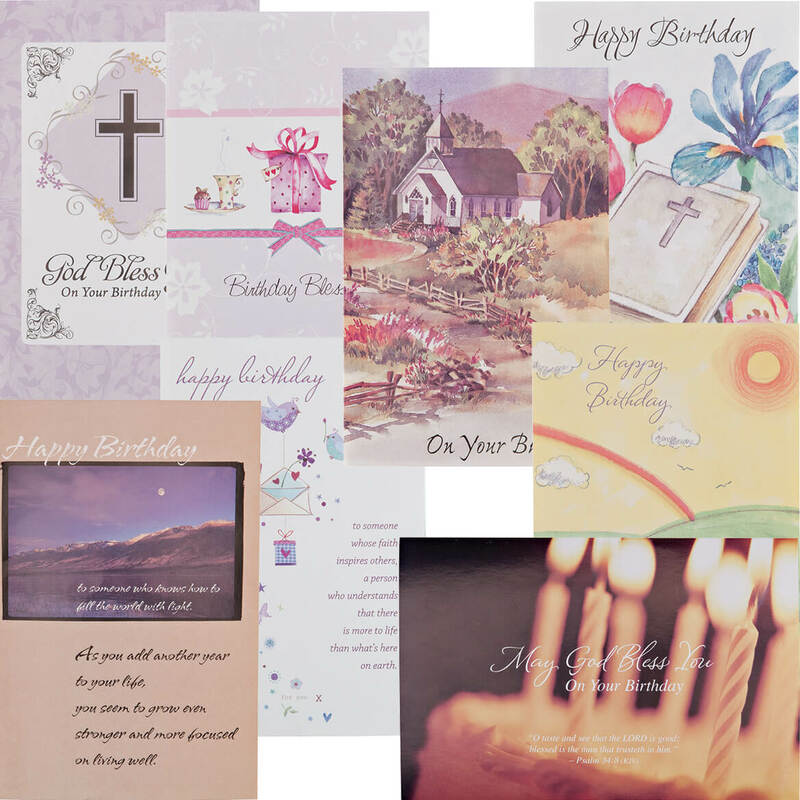 Religious birthday cards include charming verses and single fold to 4 1/8 x 5 3/8; white envelopes included.